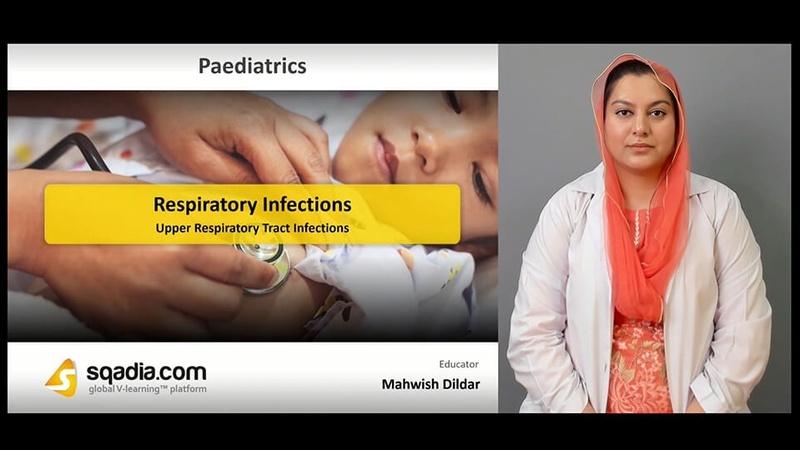 Interested in learning about the respiratory infections? Here is the sqadia.com medical video lecture to assist you in grabbing this concept. This V learning lecture provides a detailed comprehension of upper respiratory infections, laryngeal and tracheal infections along with bronchitis and bronchiolitis. Furthermore, pneumonia, bronchiectasis, pleural effusion and empyema is also expansively talked about. Initially, classification and incidence of respiratory infections has been delineated. Subsequently, etiology, presentation and signs of upper respiratory infections have been highlighted. Moreover, certain conditions like common cold (coryza), sore throat (pharyngitis), tonsillitis, otitis media and sinusitis along with their respective treatments have been explained. Conclusively, tonsillectomy, adenoidectomy and differential diagnosis of acute upper airways obstruction is discussed. After presenting an overview about the laryngeal and tracheal infections, light has been shed upon acute epiglottitis and its treatment. Following this, croup, its pathogenesis, diagnosis, differential diagnosis along with the treatment has been explicated. Furthermore, bacterial tracheitis and basic management of acute upper airways obstruction is explained. Firstly, bronchitis, whooping cough and bronchiolitis has been brought under discussion. Their respective etiology, pathogenesis, clinical features, diagnosis and differential diagnosis along with the treatment, prevention and prognosis has been comprehensively talked about. In the beginning, classification of pneumonia, causative agents along with the predisposition and aetiology has been reported. Additionally, clinical symptoms and signs, investigations, diagnosis and management has been brought under consideration. Conclusively, treatment, complicated pneumonia in children and prognosis has been elaborated. Primarily, chronic infection of lungs has been explained followed by a discussion on bronchiectasis. 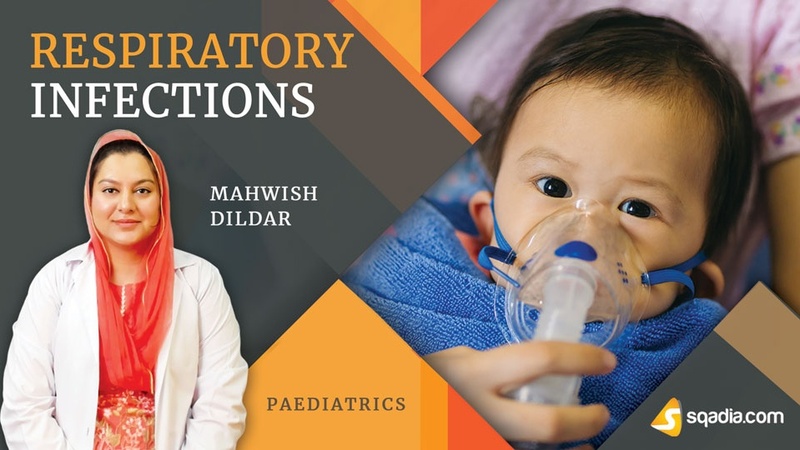 In addition to this, its diagnosis, non-CF bronchiectasis along with its clinical features, diagnosis and treatment has been thoroughly conversed about. furthermore, primary ciliary dyskinesia and pleural effusion and empyema is elaborated.